Today i was irritated with the Qone8 Virus attack on my web browsers such as chrome, firefox, Internet Explorer, even after several possible attempts to change it from browser homepage and new tab search it Rolls Back again and again to Start.qone8.com. 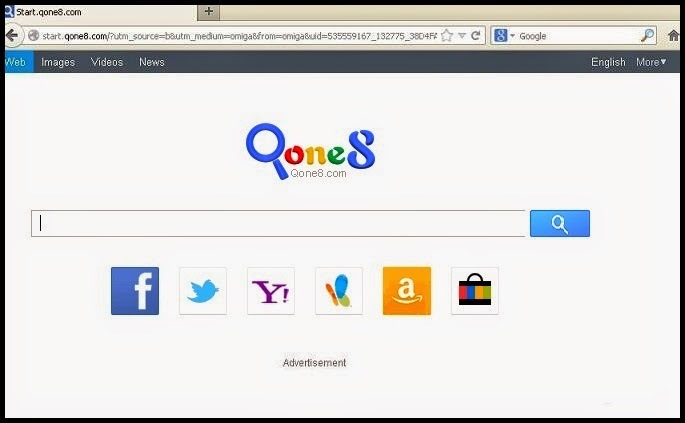 Never being lenient it affects the browser core settings and prevent it from making changes, I tried several possible methods but nothing works and eventually found a new simple solution to remove the Qone8 and Qvo6 virus from the browsers. What Is Qone8 and Qvo6 ? However Qone8 and Qvo6 were not flagged as virus, but do some similar activities like an malicious software tool does, when its installed will automatically changes the browser settings, which makes hard to change and role it back to default settings. In some cases it even reduces the internet processing speed by almost 80% and dump the performance for system, so it should be considered for removal. How I Was Affected ? Whenever we download a file from internet, most often we don't download it by visiting the actual SITE, instead we go for other third party sites that serves the "Actual Site Files". This is the place were the problem begins when we go for third party sites, they serve the "Actual Site Files" with the additional tools bundled with it. For example: if you download a Media Player from third party sites, at the time of installing you will be notified with several terms and condition and featured tools will be installed with it which changes our default browser settings. PAY ATTENTION: Please take sometime to read atleast the notification that prompt you to proceed with the next step, because most often people just skip without reading and installs everything underneath. There are some methods that will remove the Qone8 tool temporarily, but once you restart the application you'll find it back on browser and shortcuts. To remove it completely from the system, follow the steps below. Uninstall any installed application that has a poor reputation. List of some application that has poor reputation that leads to browser hijack. Uninstall the above listed application from programs. You can reset the browser settings to its default by either "Manually" or simply with Tools that has great reputation. "AVAST browser clean up tool" will remove all suspicious toolbar, add-ons, plugins and shortcuts from browser's and make browser free from being a suspect. It removes toolbars and plugins that has poor rating and its advised to close the web browsers before beginning the below process. Download and install the avast browser cleanup tool for free. Once you installed the application, open it and click "Start Browser Clean Up". It will check and analyze all browser and list the suspicious plugins, addons to be removed. Click Remove all add-ons to remove all add-ons that has poor reputation (or) select each add-on in specific and remove (Note: Since it list add-ons that damages your system, Remove all add-ons is highly recommended). Now a pop-up appears on screen to select the default homepage, select it and set your preferred homepage. And your'e done, now open your browser free from suspicious add-ons, toolbars, plugins and tools. Also Read: Easy Ways to Fix Internet Explorer Stop Working Error.